Those of you who know me personally, are probably aware that The Boy and I are intending to buy/build a house in the near future. This means that we are saving every penny where we can and that I am currently feeding us on a budget of $25 each per week. I keep being told that this simply isn’t possible. So, The Boy has suggested that I document this part of our journey along the lines of the $30 challenge we completed at the beginning of the life of this blog. I’ll start this project in the next few days. 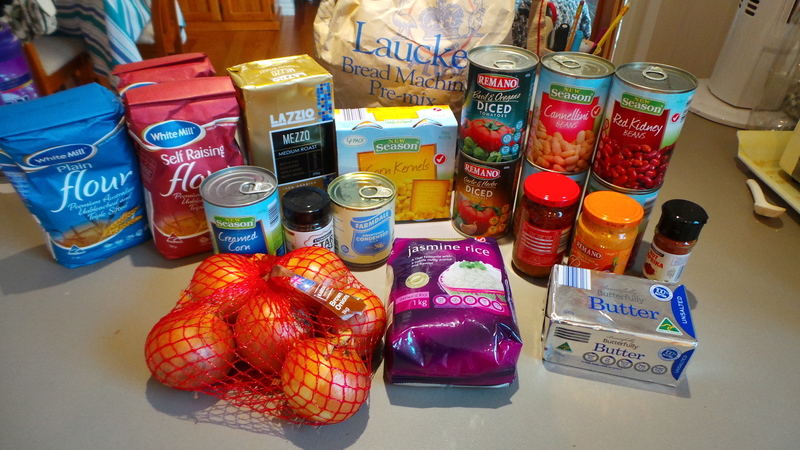 I’ll show you what I buy in my fortnightly grocery shop – and the prices I pay – and then give a daily run down of what I’ve prepared with it. The rules will be as they were for the $30 challenge. You can find those here. I hope you’ll all find the account valuable and maybe even helpful.